All of my friends, fans and rabid readers know by now that I am a geek, a nerd, a techie (not a TREKKIE) and a guy that loves his gadgets. I formed a company back in the late 1990’s called The Nerd Herd, before the name was stolen and used on a lame T.V. show on N.B.C. That’s my story and I am sticking to it but hey you guys at Universal or Comcast or whoever owns the Peacock Network I am still waiting for my check. I was also the first kid on the block way back in 1982 that was on the Internet. I was surfing with Al Gore before Yahoo was even born. I used to plug my phone directly into a modem that connected to the back of my Commodore 64 that was hooked up to my Black and White T.V. in my bedroom. I used to get three things on the ‘Net: Dow Jones and The New York Times and something called a bulletin board. My how those things shaped my life–but that is a story for another day. When I connected to the ‘Net through my mom’s phone it would take FOREVER. You would see little white bars as they filled the screen waiting for the page to load. After it came up I was in Heaven! I was reading the DOW and counting the points like a normal kid my age counted his pennies from his paper route. It was over 700 bucks! My mom had a fit! Needless to say, I had to get a paper route of my own and at that point I became self employed and have been for the last 25+ years. What is this all about you may ask? Yep thats right the big brown machine is getting a re-boot. Going on sale in May it will come with some obsure operating system called Ubuntu but they said it will run on the newest version of Windows. Over the past few years I have been drunk on the Apple Juice, but I will not be able to pass this up. When this baby is released I WILL get one. 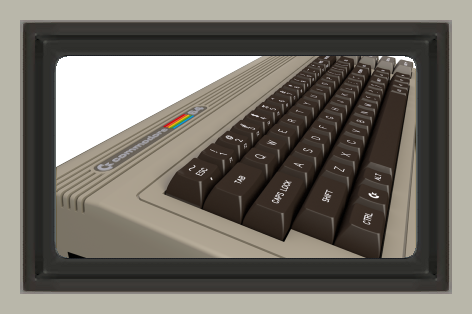 In the 2010 version of the Commodore 64 it will include the Intel Atom dual-core processor an up-to-date video card, USB and HDMI ports so I can hook it up to the 42 inch flat screen and surf the net in style. I just hope that I am on the unlimited Internet data plan or my wife is going to freak! You had better plan ahead and get another paper route!